Antony Ingram April 18, 2011 Comment Now! The Volkswagen New Beetle has had a good life - launched in 1998, it's carried on for the past thirteen years virtually unchanged. Okay, so that's not quite as impressive as the original, known variously as the Volkswagen, Type 1, Beetle, Bug, Käfer and many more names throughout the world. Unsurprising that it garnered so many names, since production continued from launch in 1938 until 2003 with over 21.5 million manufactured. 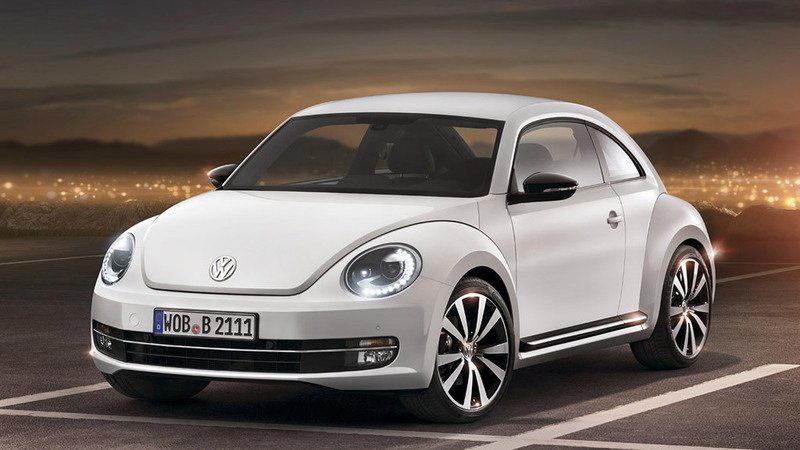 Due in late 2011, the 2012 Volkswagen Beetle initially gives drivers three engine options. 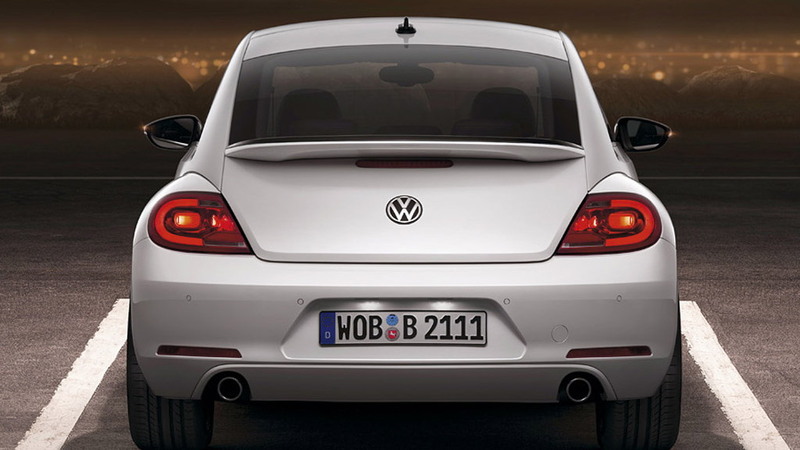 The first is a 170 horsepower 2.5 liter five-cylinder currently found in the 2011 Volkswagen Jetta. Drivers seeking greater thrills can take the option of a turbocharged 2.0-liter four-cylinder TSI engine producing 200 horsepower and 207 pounds-feet of torque. Alternatively, you can specify the latest TDI turbodiesel unit, which gives drivers 140 horsepower and 236 lb-ft of torque, yet managing 29 mpg city and a thrifty 40 mpg highway. The turbocharged petrol sends power to the front wheels through a six-speed manual transmission, but Volkswagen's slick DSG dual-clutch gearbox will be an option. The five-cylinder will come with either five-speed manual or six-speed automatic transmissions. The trademark retro 'face' is now augmented with bi-xenon headlights with LED daytime running lights, and depending on your trim level of choice you can even specify features such as keyless entry, satellite navigation systems and a panoramic sunroof for the first time. The top gasoline variant features as standard VW's XDS electronic differential lock as found on the Volkswagen GTI. Volkswagen has high hopes for the car's safety too, with standard ESP, six airbags and a chassis with one of the highest torsional rigidity figures in the segment (26,000 Nm/degree, if you're taking notes). Give the new car a quick glance and it's similar to the previous model, but studied a bit more carefully several appealing details stand out. 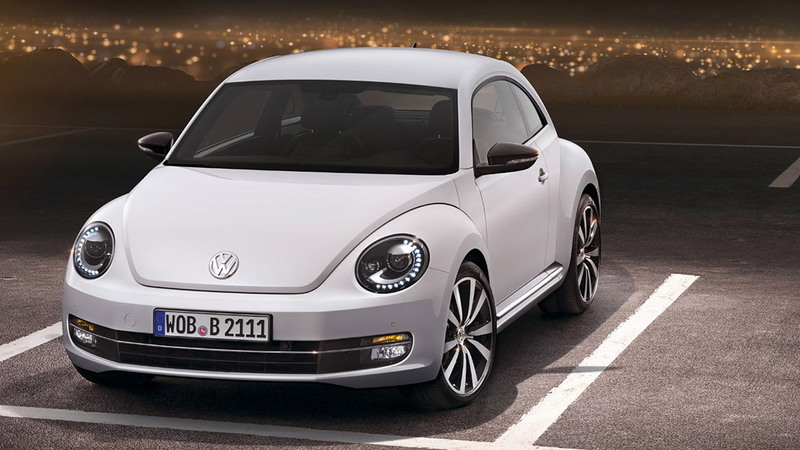 We like the new, lower roofline and more pronounced arches, that echo the classic Bug. Likewise, the windscreen is smaller and less raked back than the previous New Beetle. 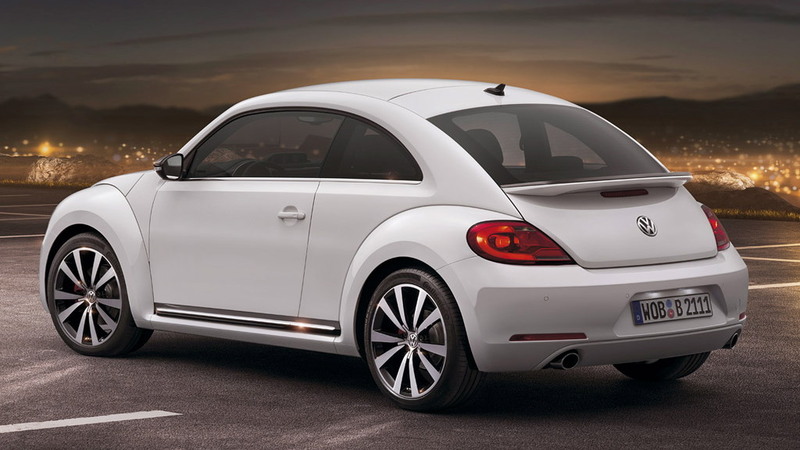 The rear end is less cutesy than the previous car - Volkswagen is keen to attract more male buyers with the 2012 Beetle, and the two tailpipes and Porsche-esque rear spoiler should also help with this. The side profile in particular looks great, especially on the 19" wheels that higher-spec versions are equipped with. The interior appears much higher quality than the last Beetle, and we're glad to see the back of the aircraft carrier-sized dashboard that, combined with a low seating position in the old car, really hampered visibility. The new dash is classy and sports models come with a cluster of gauges atop the center stack. 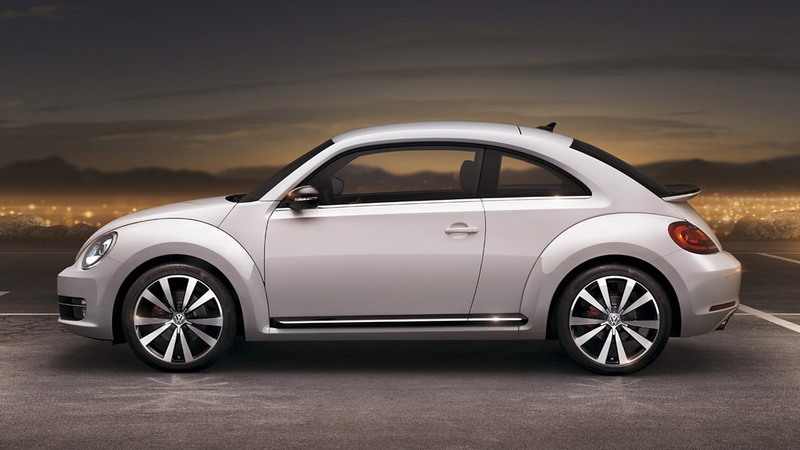 All in all, it adds up to a Beetle that's truly suited to the 21st Century. It won't sell 21 million, but it's sure to become ubiquitous before long. If it's as fun as it looks, we're in for a real treat.